With PANAFRICA, explore the world in a different way... with sneakers made differently. PANAFRICA, is a state of mind. Our ambition: Make sneakers differently, by respecting those who make them and by taking into account social, economic and environmental impacts of our actions. We commit ourselves to build a virtuous and sustainable project from the purchase of raw materials to the final assembly of sneakers. PANAFRICA, is a style. 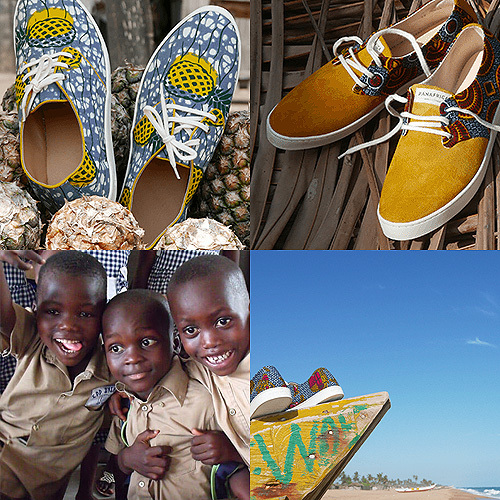 Each season, the design of our sneakers is inspired from our captivating trips to Africa. Each pair of PANAFRICA reflects amazing landscapes and warm smiles we meet on the way. With PANAFRICA on your feet, you will travel the world with optimism and assert you style with elegance. PANAFRICA, is an incredible adventure that we built day after day with our talented team, our partners that trust in us, and our loyal clients.